We’re an experienced WordPress development company based in Brighton and Hove. Our WordPress developers have years of experience using this feature rich platform, with many successful WordPress development projects under our belts. 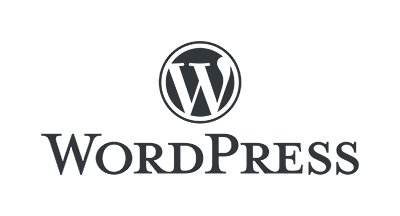 If you’re looking to hire a WordPress developer then get in touch today to find out how we can help you. According to statistics WordPress now powers 32% of the entire internet, with 50-60% of all CMS downloads this year being for WordPress. Why is it so much more popular than anything else and why do we now use it for more and more of our builds? In short its because WordPress is so easy to use for both developers and end users. When we first started using it, we quickly found how easy everything was to setup, to build on top of, to deploy. This meant faster projects and lower prices for our clients. Our clients also told us that it was great to use, we had less issues, less of them coming back to us for simple changes. Its this simplicity that in our view is its standout feature. We liken it a bit to the appeal of Apple products, people often say “they just work” in comparison to other products (which we actually use more by the way!). WordPress is similar, the platform does a brilliant job of making complex things simple. If you’re looking for a full feature list we suggest you go to the main WordPress features page or simply Google it, its too lengthy for us to list here. If you’re interested in seeing what it can do first hand and are serious about a project, get in touch and we’ll set you up your own personal demo you can play with. Your own custom built, responsive WordPress website, installed and configured to your own requirements. Fast and reliable ongoing support is one of our key strengths. One of the strengths of WordPress is the ability to customize it to meet your individual businesses needs through customisation. Whether its designing your own theme from scratch, or customizing an off the shelf one, weve done it all. Services include: WordPress theme design, WordPress theme development and WordPress theme customisation. WordPresss plugin architecture makes it easy to build in your own features, in a way that makes upgrading in future much easier. Ensuring your site is fast is crucial to usr experience as well as search engine rankings. Our WordPress Performance Optimisation services range from basic configuration tips, to CDN integration, through to more advanced techniques. Ensuring your site ranks well with search engines is crucial to most sites. Let us help you develop a long term strategy and implement that in your WordPress solution. Keeping WordPress up to date is important for security reasons, and we recommend quarterly updates usually taking around 2 hours. If you have chosen to move your site from another platform to WordPress, we can ensure a smooth transition. Some of our WordPress developments. Whether it’s a new WordPress development, or an existing project you need help with, give us a call today for an informal chat about how we can help.